Years later, after moving away from Lynchburg and then returning, Jeff noticed that the old pile of boards was long gone. 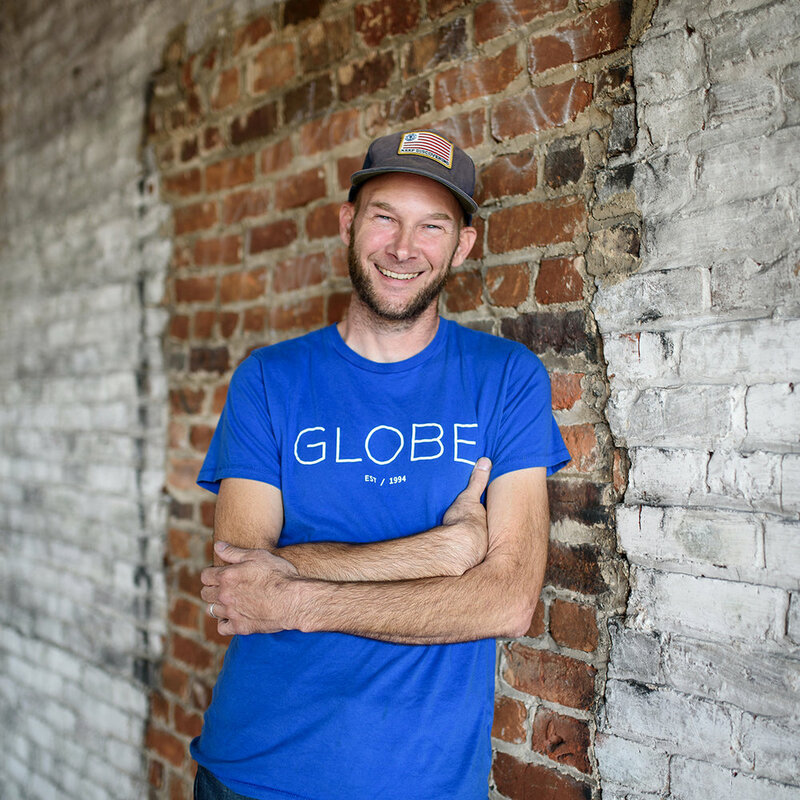 With that memory in mind, Jeff offered customers a credit on a new board in his skateboarding and bike shop—Scene 3—on Main Street, if they brought in a broken one. At first, these old boards ended up in a new throwaway pile, but the waste bothered Jeff. Until, one day, he had an idea. What if he could upcycle the seemingly useless boards into something new? He pulled off the sticky grip tape, and began working with the veneers. He started small for his first upcycled creation making a simple keychain. “A friend who’s a graphic designer stopped by and said, ‘That’s cool…but you should make it do something,’” Jeff recalls. So, he crafted a keychain that was also a bottle opener. 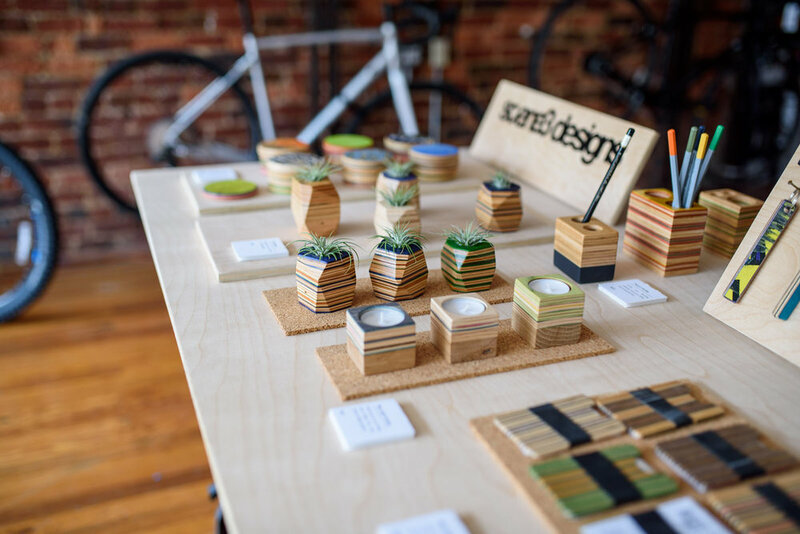 his Scene 3 Designs business. Jeff began skateboarding as a teenager, which is also when he discovered the joy of making things. He remembers expanding the half-pipe his Dad had made at their house for skateboarding. 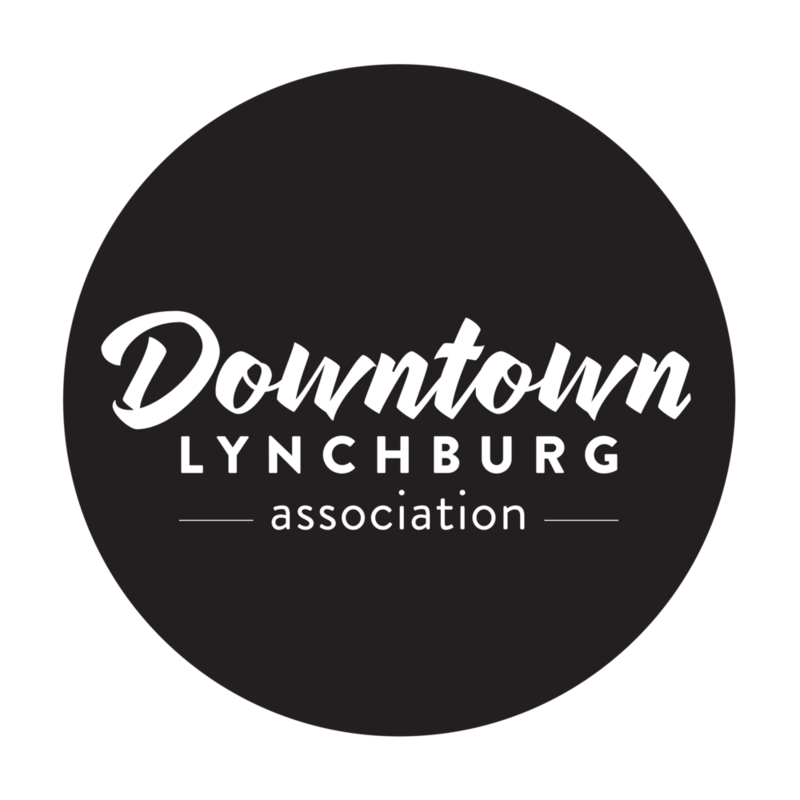 And Jeff has enjoyed watching Downtown Lynchburg transform in the years since he joined in. 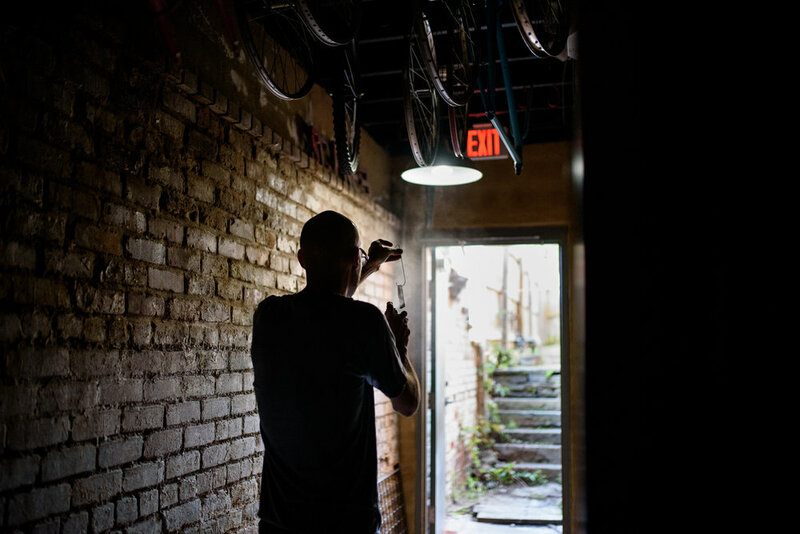 “I’m very happy Downtown; it’s a tight-knit community of business owners and loft owners. It’s an active and vibrant scene,” he said. He enjoys having visitors wander into his shop and discovering something more than they expected. 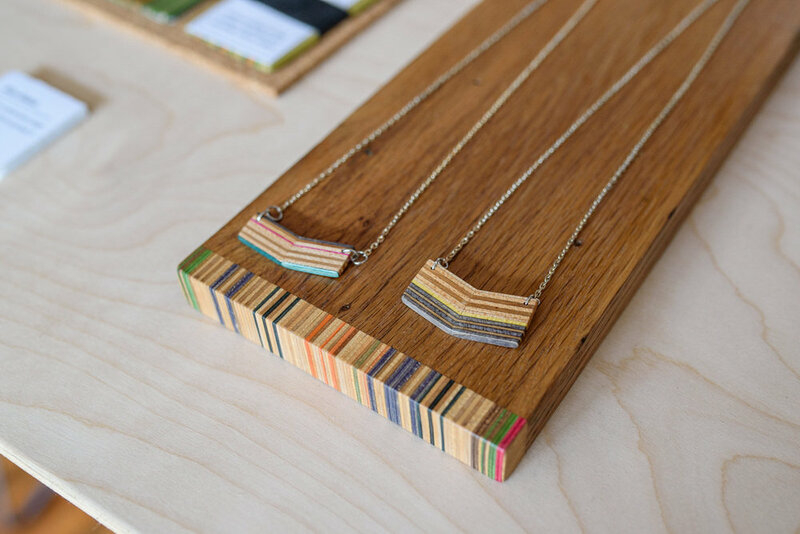 “A lot of people walk in and are excited to see that we’re the place that makes stuff out of old skateboards,” he said. Jeff also likes the fact that he’s recycling and reducing waste because estimates show that approximately 2 million skateboards are thrown in the trash each year in the United States.